GDPR: what is a small UK business to do? Although it’s nearly upon us, it seems like many businesses remain unaware of the impending data protection doom of the General Data Protection Regulations. Small businesses in particular. It’s easy to think that (a) there’s no way you’d have time to prepare your business and (b) it won’t apply to you in any event. The trouble is, that’s a risky position to take. When it comes into force on 25 May 2018, GDPR will usher in fines of up to €20m (and beyond). On top of that, consumers will be increasingly ready and willing to sue companies over data protection issues. Every business needs to take GDPR seriously, then. Under the current regime, governed by the Data Protection Act, the maximum fine for a data breach is £500k. Under GDPR, at present Euro exchange rates, it’s 34 times that amount. Our data protection enforcement body, the Information Commissioner’s Office (ICO), is about to have a major weapons upgrade. In June 2017, the ICO fined Morrisons £10,500 for a marketing faux pas. In July, the company under the cosh was MoneySuperMarket and the fine, £80,000. Scaling those fines up 34 times and you’re looking at £357k and £2.7m respectively. Now it might not work that way in practice, but we’re still looking at huge potential exposure – the kind of exposure that could put a company out of business. Realistically a smaller company is likely to face a smaller fine (smaller customer databases, smaller likely impact from any breach). But also, a smaller company, with less resources to apply to security and cyber risk insurance, is more likely to fall foul of the regulations and be fined. Again and again and again. Does this sound alarmist? Possibly. It all comes down to risk really. If you’re happy to play fast and loose with your customers’ data in full knowledge of the consequences, read no further. But if all this is giving you pause for thought, stick with me. Sorry; we’ll be following GDPR regardless of Brexit. The regulations impose differing obligations on companies, depending on number of employees. The legislation will be less onerous for companies with fewer than 250 members of staff. But still onerous. If you’re under the 250 mark, but you process or store much personal data (customers, suppliers, employees), GDPR will apply to you in full. So if you’re running a greengrocer’s you’re probably okay. If you’re running a small accountancy firm, well you’ve got a lot of work to do. And we can’t afford to ignore this, right? Significant changes when it comes to consent. You may not market to anyone who has not consented. And consent has to consist of an act on the part of the person. Pre-ticking consent boxes on website won’t fly any more. Clarity and ease. It must be easy for consumers to understand what it is they’re consenting to, and easy for them to withdraw consent. Consent must be defined by channel (e.g. email/telephone/SMS) and duration (how long the consent will last). Data portability. If someone asks for a copy of the data you hold on them, you must supply it within 30 days, in a common electronic format (Word document, Excel spreadsheet, PDF file, etc.). Accuracy. You are obliged to correct any incorrect data – including, if you’ve shared that data with a third party, making them correct it too. A right to be forgotten. If someone asks you to remove their data, and you have no other legitimate reason to keep it, you have to remove it. Mandatory data breach processes. If you become aware of a breach that affects personal privacy, you will need to tell the ICO within 72 hours of discovering the breach. Essentially means you need a bullet-proof data breach policy in place. Privacy by design. If you’re designing a new system or business process, you must consider privacy at the outset (and you must document the fact). Data Protection Impact Assessments. If a piece of work is likely to represent a high risk when it comes to personal data, you must conduct a DPIA. The GDPR does not specify the detailed process, but it’s essentially based on risk analysis. If after your analysis, you conclude there is a high risk to privacy, you must consult the ICO before commencing work. Data Protection Officer. 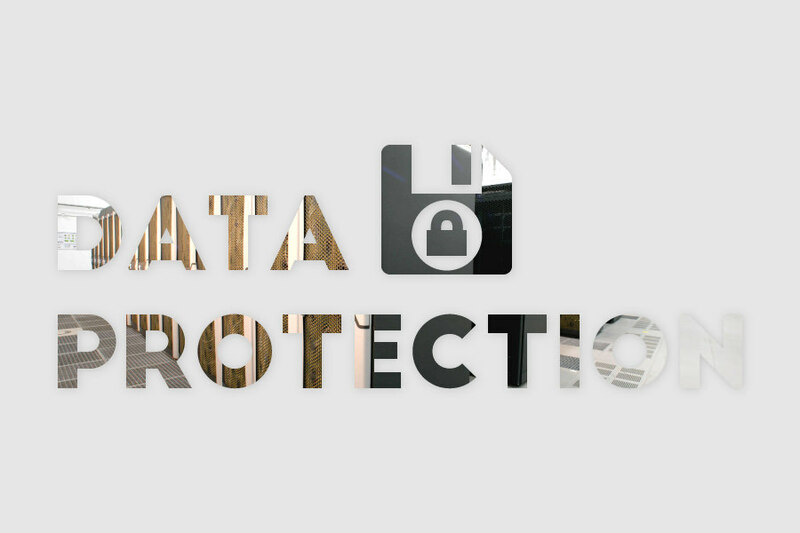 If your business is over the 250 mark, or under it and you process personal data, you must appoint a Data Protection Officer. And that DPO needs to have some idea of the responsibilities of the role. Reading this blog post should help! A broad definition of “personal data”. This now includes IP addresses, for example. It’s essentially any data that identifies a person or that could be used with other data to identify a person. Security. The legislation requires you to take reasonable steps to protect personal data. Think encryption, robust passwords for access, principle of least privilege, need to know, etc. Review all your data, thoroughly. If you have more than one employee, you’ll probably need to involve others in this process. If you don’t know where your data is or what data you’re holding, you will be oblivious to your compliance obligations. And obliviousness is no defence I’m afraid, when it comes to penalties. If you undertake any marketing activity at all, use the remaining time you have between now and May to seek consent from your existing customer base. If you don’t have their consent post-May 2018, and you market to them, you’re liable to be fined and/or sued. For companies with large marketing operations, this will be quite a sizeable undertaking. Make sure when you’re collecting consent, you note when consent was granted, which channels it covers and how long it will last. In future, you’ll need a process to renew consent before expiry, or to expunge expired data. Update any privacy notices, particularly taking account of the obligation to be clear. Pretend you’re writing it to be read by a 12 year old. Put in place processes to amend or delete data when required to do so. Develop a process to provide a copy of all data to a consumer, when asked. If there’s a chance you will process the data of anyone under the age of 13, you’ll need a process for obtaining parental consent. Write a data breach response plan. This doesn’t need to be a 100 page document. Just simple steps to follow in case of a breach – which include notifying the ICO and the affected consumers as appropriate. If in doubt, seek professional help. I’m writing this as a Certified Information Systems Security Practitioner and a non-practising solicitor. These guidelines do not constitute legal advice, but I hope they will point you in the right direction. The truth is that these regulations aren’t in force yet, so nobody really knows quite what impact they will have on the data protection landscape. It will be a big shake-up though, that’s for sure. Featured photo used with permission.